Rick Morris admitted later to The Stanford Daily that he got fooled by the pitch. But it still worked out. Morris was batting for Arizona State against Stanford in the 11th inning of this April 1986 game. He also hit what turned out to be the game-winning home run, The Daily wrote. "It was a slider on the outside part of the plate, a good pitch," Morris told The Daily. "I didn't get a very good hack, but I hit it pretty good." Morris hit well enough that year for Arizona State to turn pro that June. He went on to a career that spanned six seasons. He never made the majors. 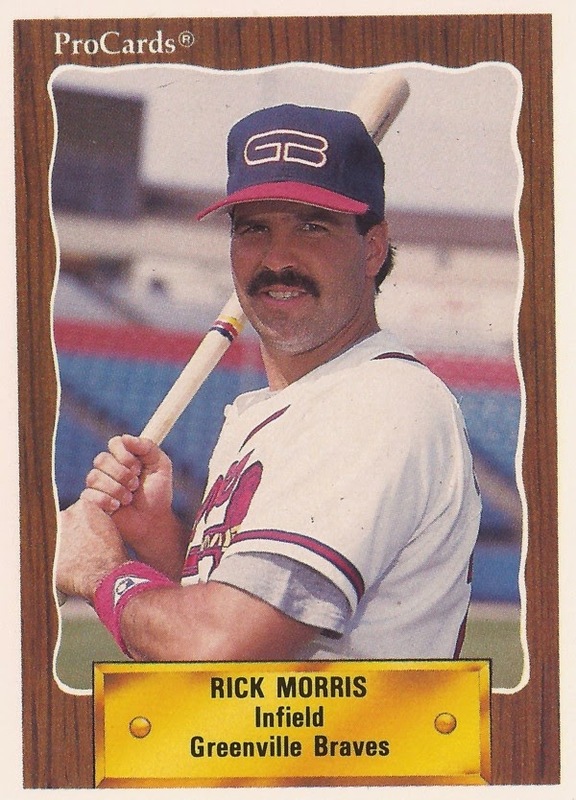 Morris' career began in June 1986, taken by the Braves in the sixth round of the draft out of Arizona State. Morris hit 19 home runs in all for the Sun Devils in 1986. He also knocked in 65 runs. He hit his 11th home run that year in early March, also a game-winner. Morris started his pro career at single-A Durham. He hit .278 in 72 games. He also hit five home runs. Morris played each of the next two seasons at Durham. He hit .294 in 1987 and .282 in 1988. In June 1988, Morris was one of the players interviewed by The Today Show after Bull Durham came out. He told the interviewer his "No. 1 goal" was to make the majors. He also said Kevin Costner had a good swing, according to NBCUniversalArchives.com. Morris played 1989 at AA Greenville. He hit .254 there, with eight home runs. In 1990, he got 17 games at AAA Richmond, playing the rest of the year at Greenville. He played one more season at Greenville. He hit .240, with five home runs. It was his final season as a pro.